Although trained in the financial services industry, I have followed my passion for photography for some time. I started out in the 1990s creating and selling travel-oriented images from the U.S. and Europe; later, I expanded into cityscapes and then, in 2000, documentary and street photography. I have been published several times, including magazines, newspapers, books and travel guides. I have finally retired from the corporate life and am making photography a full-time pursuit. This Chicago native is now living in the San Francisco Bay Area, thoroughly enjoying the photographic opportunities that abound on the West Coast. 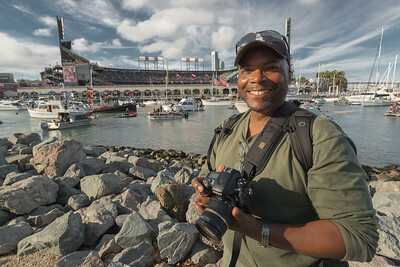 I am currently working for the San Francisco Recreation and Parks Department photographing the city's parks, educational classes, summer camps, youth theater productions and parks-related events.